Michigan Governor Rick Snyder recently called for his state to pass a bill allowing companies to test fully autonomous vehicles on public roadways. As it stands, only California, Nevada, and Florida have passed laws allowing companies like Google and Audi to send self-piloted cars onto public roads. “They’re (California, Nevada, and Florida) ahead of us, and aren’t we the automotive capital of the world?” Snyder was quoted as saying in a recent Detroit News report. While Snyder is overstating a bit, he has a good point. If the big three – Ford, GM, and Chrysler – wish to compete against the likes of Google and Audi regarding vehicle autonomy, having a home state advantage would be a good start. Presently, the biggest concern for the Michigan State Legislature is safety. 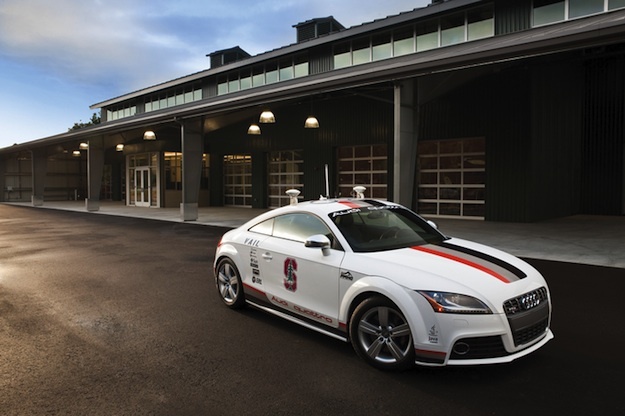 A bipartisan bill, which is currently in the state hearings process, would require a licensed driver behind the wheel at all times of autonomous vehicle testing. On the other side of the debate, the biggest concern for General Motors is that it would not be held legally responsible for its vehicles that have been retrofitted with autonomous hardware by other companies – like Google – should something go haywire. According to the Detroit News report, national trucking companies expect a 20-percent improvement in fuel savings when a computer is controlling vehicle throttle compared to a human. Another benefit of vehicle autonomy touted in Michigan is the potential for the blind and elderly to access roadways again. So long as the car does everything for them, this seems like a perfectly good idea. The blind can already hunt in Michigan, why not drive, too? Google anticipates that vehicle automation technology could hit the consumer market within a decade. But if the technology improves as quickly as it seems to be, thanks to Oxford University’s RobotCar, that number could drop significantly.